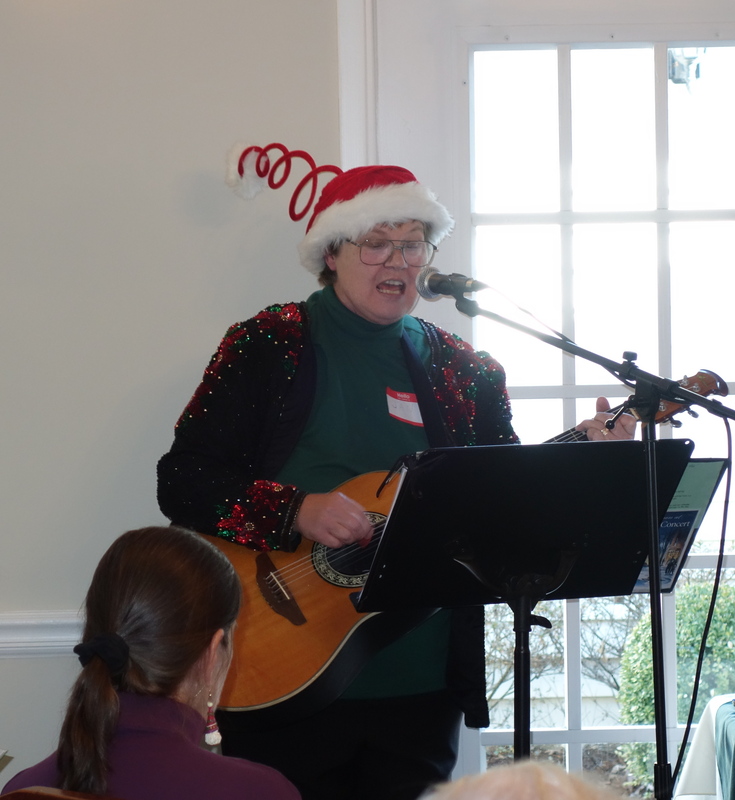 Jingle bells were rung, and carols were sung at the Carillon Care Center on December 10, as song leaders Jan Mallindine, Beth Mallindine and Ruthie Rosauer led residents and non-residents in Christmas songs. There were SIXTY SEVEN singers! That’s a lot of holiday cheer! 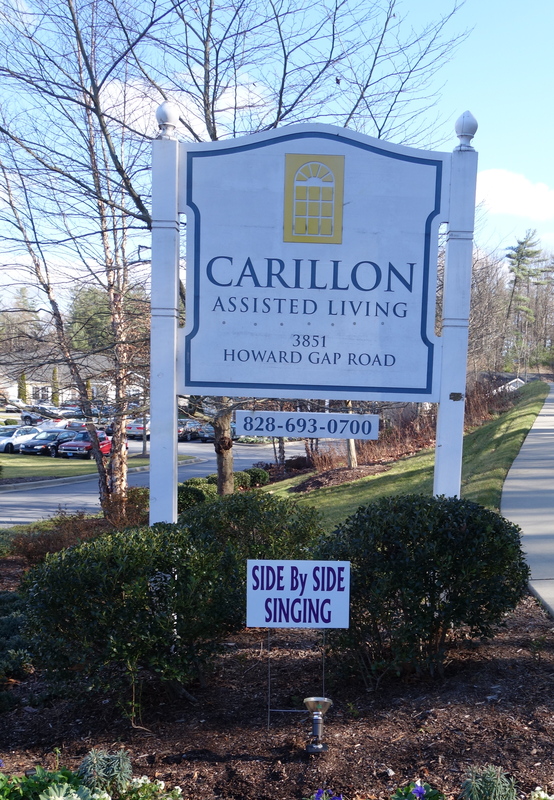 The next Side by Side for the Holidays will be Wednesday, December 17 at 1:30 — also at Carillon. Jan Mallindine played the guitar. 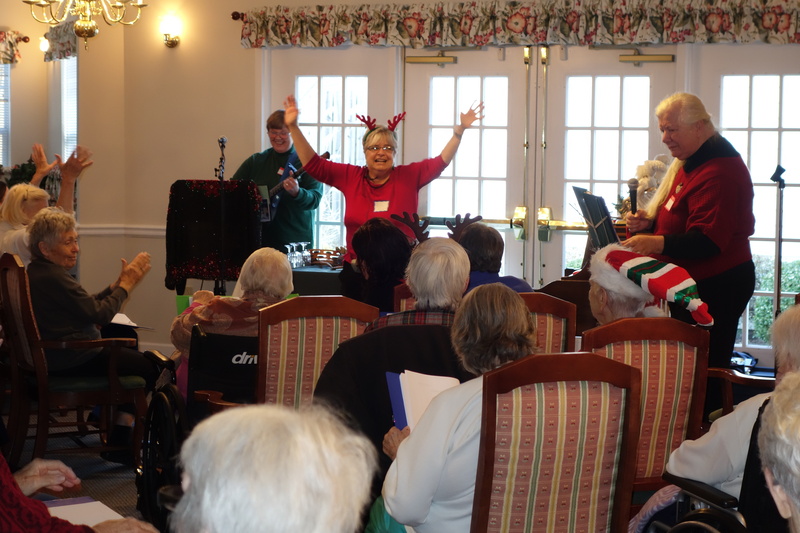 Standing, from left, Jan Mallindine, Ruthie Rosauer and Beth Mallindine.